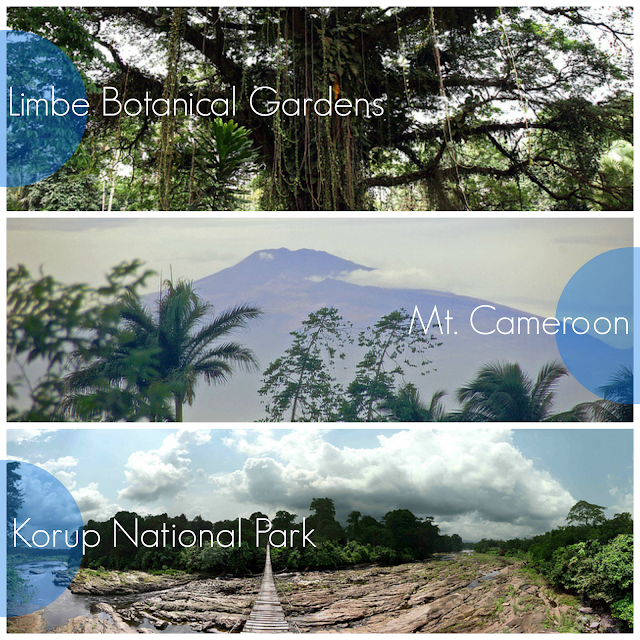 I continue with my dream Cameroon travel itinerary today with the Southwest region, one of Cameroon’s two Anglophone regions. Limbe (Botanical Gardens): I think that most Peace Corps volunteers in Cameroon make a trip to Limbe’s black sand beaches at some point during their service, so I’m not too concerned about my likelihood of seeing Limbe. But besides the black sand beaches and small fishing villages - which I hope are as idyllic as Sierra Leone’s beaches! – I hope to also see the botanical gardens which I have read are perfect for a nice and easy nature walk. Mt. Cameroon: Again, I have no doubt that I will make at least one foray to Mt. Cameroon, also known as Mt. Fako. It is West Africa’s tallest mountain at 13,353ft, the closest African mountain to the coast, and it is also an occasionally active volcano. While I hope to take a leisurely climb up the mountain at some point to capture lots of photos, I hope to participate in the Race of Hope in late January. The Race of Hope is a 40km run (a marathon) up the mountain and back down. While I can just barely run 15km, I don’t plan on running the whole marathon myself (unless it was my death wish). Instead, it is quite common for other Peace Corps groups to create relay teams to run the marathon. Not only do I think this is a great fitness goal for me to train towards, but I also think it would be a great experience to share with a group of similarly-insane volunteers. We've already formed a quasi group of interested participants, so I'm excited to see what comes of it! Mt. Cameroon – be prepared to get conquered in January! Korup National Park: This 60 million year old rainforest is Africa’s oldest surviving rainforest with over 1,000 animal species, of which 60 exist only in Korup and 170 more are considered endangered. I’m sure this is not an easy destination to visit, but I would love to bring my family to visit it in hopes to see some wild animals and catch a glimpse of what I can only assume to be gorgeous scenery.